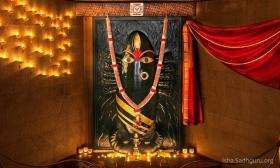 Linga Bhairavi is the most exuberant expression of the Divine Feminine, residing in a triangular-shaped abode at the Velliangiri Foothills. 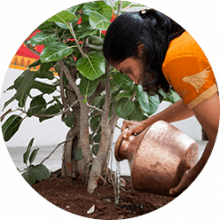 Refined and raw, powerful and colorful, earthy, humane and mother-like, Linga Bhairavi is an absolute woman of ultimate proportions, fierce and compassionate at once. 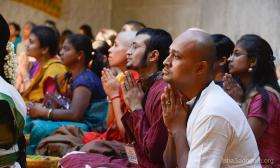 Whether a devotee seeks to acquire, enjoy, or transcend the physical and material aspects of life – Devi is the Ultimate Giver of all that and more. Unique in her manifestation in the form of a linga, the eight feet tall Devi was consecrated by Sadhguru as a powerful energy form with a solidified mercury core. 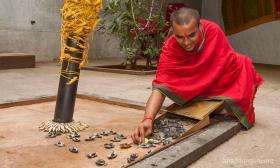 The consecration of Linga Bhairavi was conducted through prana pratishtha, a rare mystical process that uses life energies to transform mere stone into a deity. 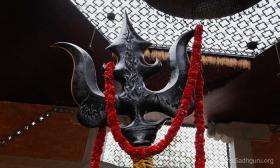 Linga Bhairavi is situated 30 kilometers (20 miles) west of Coimbatore, Tamil Nadu. Coimbatore, a major industrial city in southern India, is well connected by air, rail and road. Major airlines operate regular flights to Coimbatore from Chennai, Delhi, Mumbai and Bengaluru. Train services are available from all major cities in India. 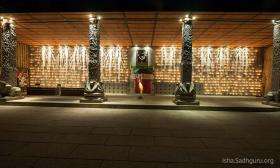 There are direct buses between Coimbatore and the Isha Yoga Center (view the timetable). Taxis can be booked from the airport as well as the railway station. Alternatively, contact the Yoga Center’s travel desk to book a taxi to the center. The desk is open 24 hours a day. 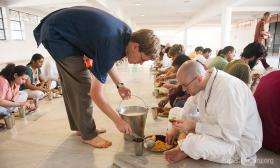 There are direct buses between Coimbatore and the Isha Yoga Center (view the timetable). Taxis can be booked from the airport as well as therailway station. Alternatively, contact the Yoga Center’s travel desk to book a taxi to the center. The desk is open 24 hours a day. 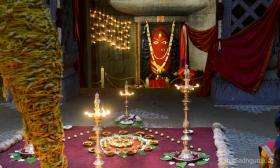 Various offerings and rituals are conducted in Devi’s abode to allow devotees to benefit from the Devi’s abundant Grace. 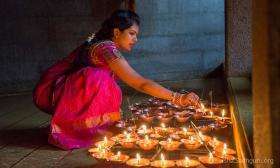 Unique rituals that assist in every step that one takes in one’s life, from birth to death, to everything in-between. 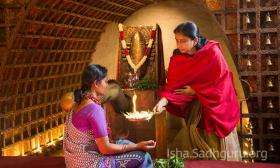 These rituals are designed to ensure that every life situation becomes a possibility to be touched by the Divine. 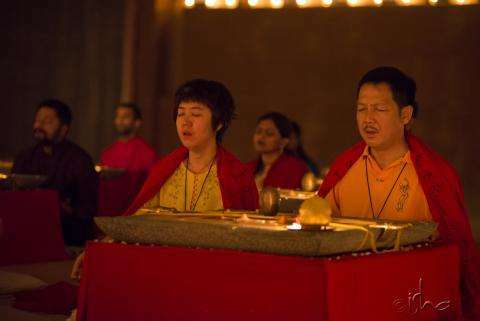 Particular rituals can be performed to fulfill one’s desires, needs, and ambitions, or address specific problems in one’s life. 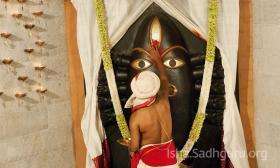 Devotees can also participate in daily abhishekamswhere eleven different offerings are made to the Devi. 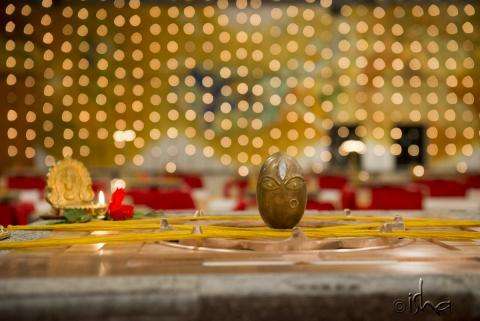 Linga Bhairavi is open from 6:30am – 8:20pm seven days of the week. The space is closed daily from 1:20pm – 4:20pm. 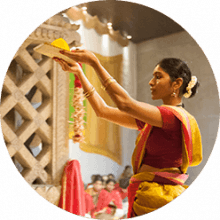 Devotees can offer the abhishekam at 7:40am, 12:40pm and 7:40pm every day to receive the Grace of the Devi. All are welcome. 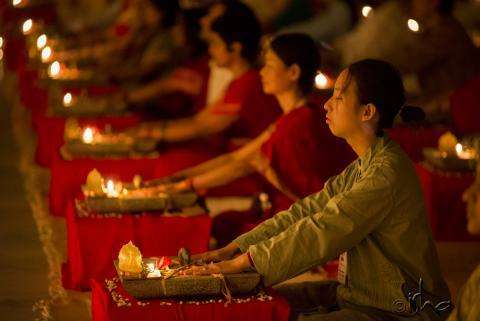 Klesha Nashana Kriya is a powerful ritual for aura cleansing that wards off negativity. Open for people of all ages, it is recommended to have it done twice a year as it has immense benefits in terms of health, mental balance and wellbeing. 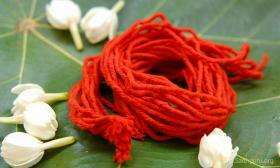 This arpana is done to quench any intense desire for both men and women. 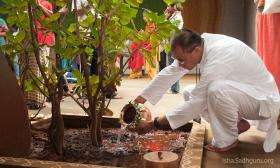 This includes offering of consecrated jala in an adorned copper pot to the sacred Vata Vriksha (banyan tree) at the Linga Bhairavi assisted with a powerful chant. 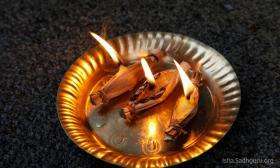 Sarpa Seva is an offering made to the intertwined Divine Sarpas at Devi’s abode, by any two individuals who share a relationship, such as husband and wife, brother and sister, or business partners. 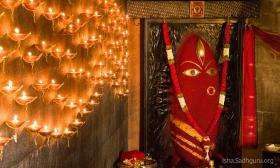 Marriages (Vivahas) and wedding anniversaries (Shastipoortis at the 60th birthday of the husband) can be celebrated in the Presence and Grace of Linga Bhairavi. This celebrates the introduction and transition to solid foods and marks the beginning of the blossoming phase of a child’s life. 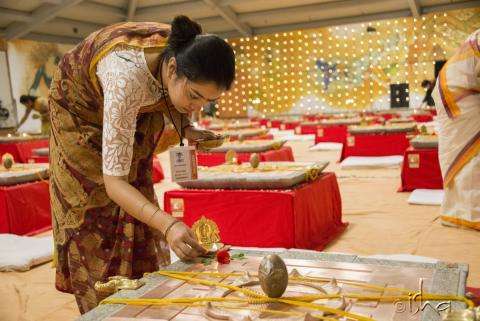 This ceremony enhances the child’s health, longevity, strength and vitality. This ceremony introduces young children into the world of knowledge, letters and the process of learning. 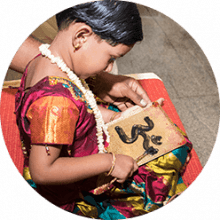 It is exclusively designed for children to begin their education and brings forth the wealth of true knowledge. 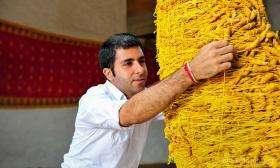 This offering establishes all that is auspicious for you and your family. It can be made at any time to honor any occasion. 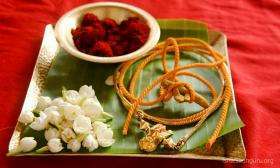 The offerings are then given back as prasad. 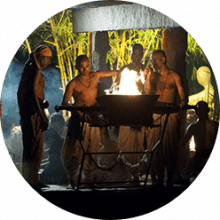 Every Pournami an elaborate Abhishekam is celebrated with dance and music, followed by a grand procession of the Linga Bhairavi Utsavamurti (a consecrated form of Devi). 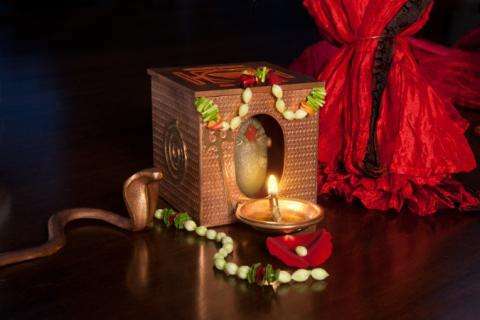 Linga Bhairavi is used as the energy base to conduct certain processes for the deceased. There are two options, depending on the cause and time of death. 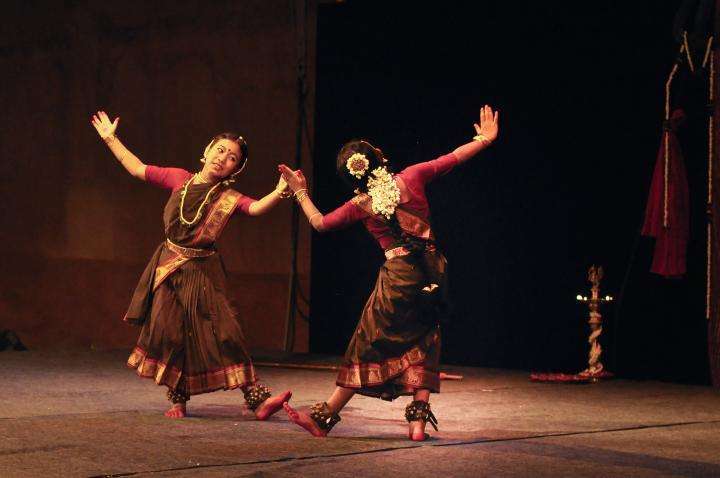 On every Pournami, an elaborate Abhishekam is celebrated with dance and music, followed by a grand procession with the Linga Bhairavi Utsavamurti (a consecrated icon of Devi). 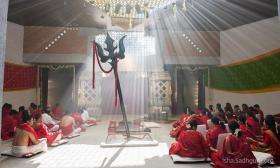 It culminates with the Maha Aarti in front of the Dhyanalinga . 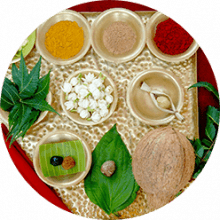 The powerful energy created is particularly beneficial for the overall well being of the family, for good health, success, and prosperity. 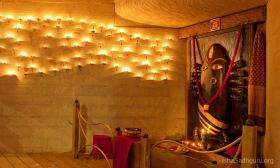 The energy of Linga Bhairavi strengthens the three basic chakras in the human system; thus stabilizing one’s body, mind and energy system. For all those who seek to live life intensely, Devi’s Presence and Grace will assist in the process. 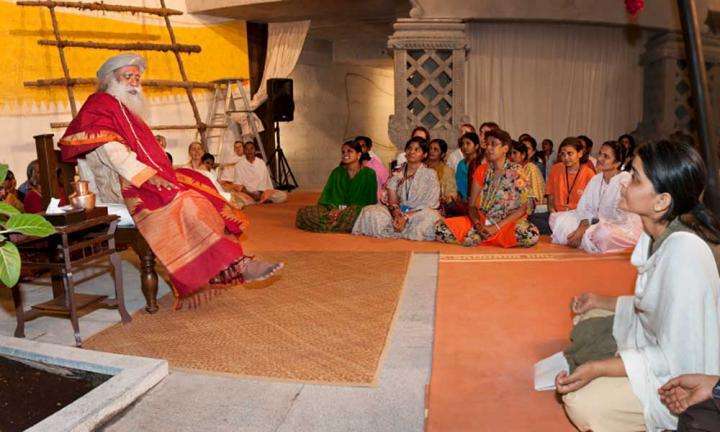 If one allows her Grace to function, life will happen in such exuberance that the longing to transcend the physical and touch the spiritual will naturally arise. For those who aspire for spiritual wellbeing, the benevolent Goddess helps in overcoming obstacles on the path. 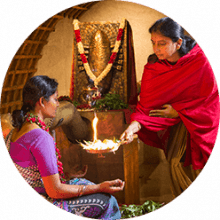 For those who wish to have Devi’s presence and Grace in their own private living and office spaces there are powerfully consecrated living representations of Linga Bhairavi through which one can constantly connect to her Grace and benefit from. 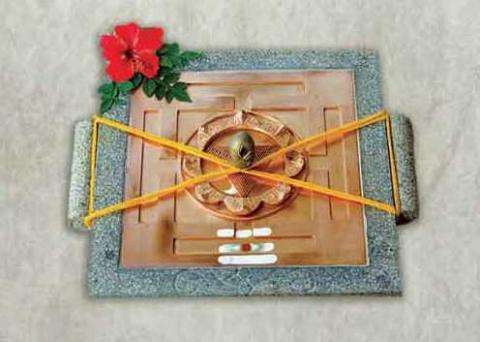 A Linga Bhairavi Yantra in your home allows you to physically come in touch with the Devi. The intimate physical touch between you and the Devi will bring about a profound transformation in your life. 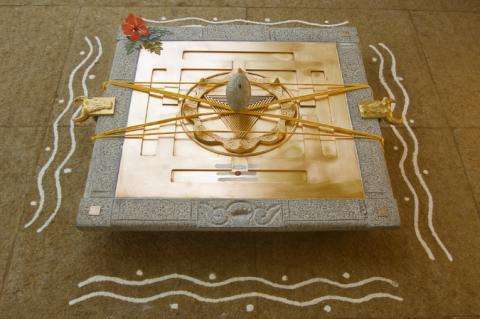 The Linga Bhairavi Gudi is designed by Sadhguru, allowing devotees to behold and connect with the Devi. 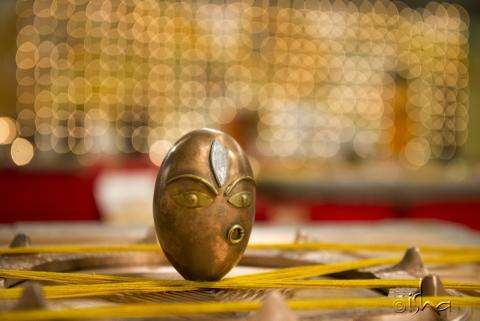 The Linga Bhairavi Gudi envelopes the devotee with a nurturing embrace of the Mother Goddess. 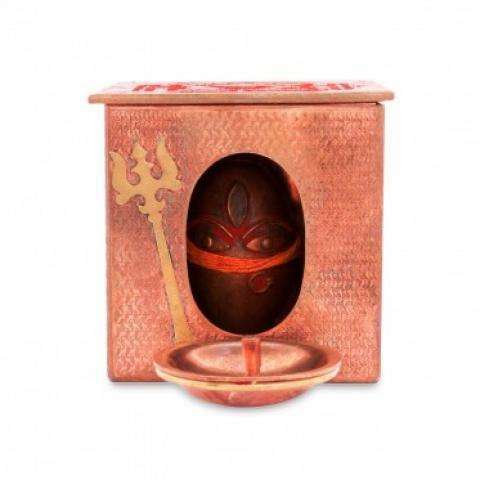 Experience the blessings of Linga Bhairavi in your home through the Linga Bhairavi Yantras and Gudis.